Canopy Growth, the cannabis company backed by US drinks giant Constellation, is building a production facility in New York. The company, which sealed a $4 billion deal with Constellation in November to start work on producing cannabis-infused beverages, has been granted a license by New York State to produce and process hemp. The facility will focus on hemp extraction and product manufacturing within the US. The company said it will spend between $100 million (£77 million) and $150 million (£115.9 million) on the site which will produce “tons” of hemp extracts annually in a “hemp industrial park” which is being developed on the state’s southern border. Canopy is in the process of evaluating a number of sites in the Southern Tier of New York, which will become one of its first extraction and processing facilities outside Canada. The Company intends to announce the specific location within 100 days. New York senator Schumer said the project is part of an ongoing effort to transform the Southern Tier – a geographic region in the state of New York consisting of the counties west of the Catskill Mountains along the northern border of Pennsylvania – into the “Sillicon Valley” of cannabis. Although nine states have now legalised recreational use of cannabis, possession is still a criminal offence in New York. Medical marijuana is legal, but its application is limited. The New York Police Department started issuing tickets for people who smoke cannabis in public rather than arresting them in September. On in July last year, the New York Health Department published a report recommending legalisation of the drug. Responding to the news, governor Andrew Cuomo suggested that legalisation was not a case of if, but when. 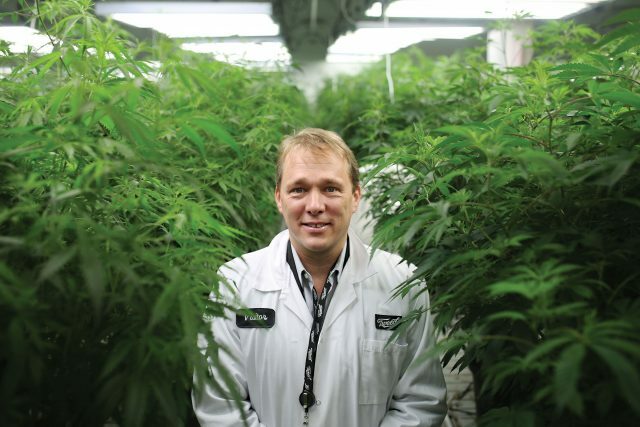 Constellation Brand’s multi-billion dollar investment in the Canadian cannabis company appears to be paying off already. The value of its shares in the company were already worth an extra $1.3 billion by October last year. Canopy Growth was given the green light to begin building its hemp facility “based on its expertise in hemp-derived cannabinoid extraction and processing,” according to a statement. “I fought so hard to strip the burdensome federal regulations from industrial hemp in our Industrial Hemp Farming Act of 2018, which was recently included in the Farm Bill, because I knew how much it could mean to the Southern Tier, and this investment proves it,” Schumer said. To read more on the latest developments within cannabis and the drinks industry, click here.